GSB has been at the forefront of manufacturing quality products into the Printing, Paint, Hardware and Auto sectors since 1954. GSB currently supply chemistry and expertise to the litho printing, screen printing, home decorator, retail market and surface coating removal industries. sections for product details. Our Material Safety Data Sheets (MSDS) can also be accessed here. Should you require more information on any of our products and services, please complete our this form or contact us. 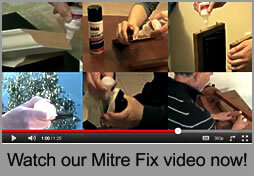 For NSW Mitre Fix orders or enquiries, please contact our distributor, Bill Porteous, JW Agencies on 02 9748 2300. From the team at GSB Chemicals, we hope to speak with you soon.